Reasons for concern: All parts of this plant are poisonous to animals and people. Botanical description: Tall, poisonous plant with many branching stems, forming dense colonies. Leaves: Rosette in Year 1. In Year 2 leaves are opposite, triangular. Shiny green. Finely divided into leaflets, looking somewhat like a fern. Toothed. Each leaf is 6” to 18” long. Stem of the leaf is wrapped around the stem. If crushed, leaves produce a foul odor. Veins of the leaves run to the tips of the teeth. Stem(s): Up to 10’ tall, but usually less, many branched. Grooved, hollow, with purple spots or blotches. Flowers: Blossoms June through September. 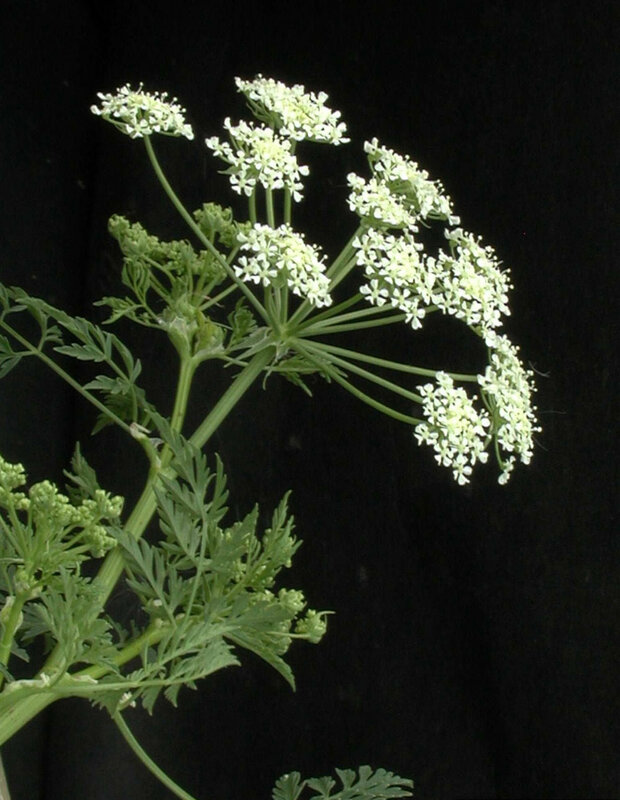 Numerous tiny white flowers form umbrella-like clusters, called umbels. Each flower has 5 petals. Seeds: Seeds contain the highest concentration of poison. Very small, grayish-green. Roots: Long, white, fleshy, hollow, hairless taproot. Have the odor of carrots or parsnips. Native to: Eurasia. Introduced to the U.S. as an ornamental garden plant because of its lovely ferny foliage. 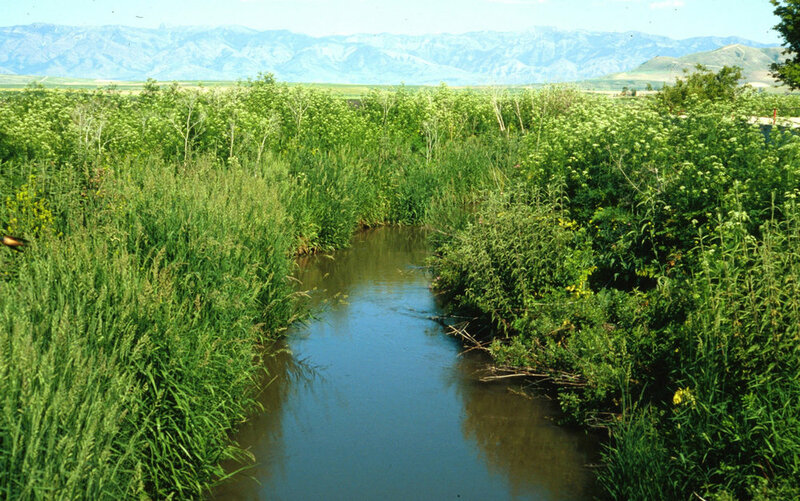 Where it grows: In moist, disturbed soils along the edges of standing or running water, in shady locations. Roadsides, at elevations of 4,500 to 10,000 feet. Weedy characteristics: Forms dense stands and outcompetes other plants for space and light. Each plant can produce more than 30,000 seeds, which remain viable for several years. 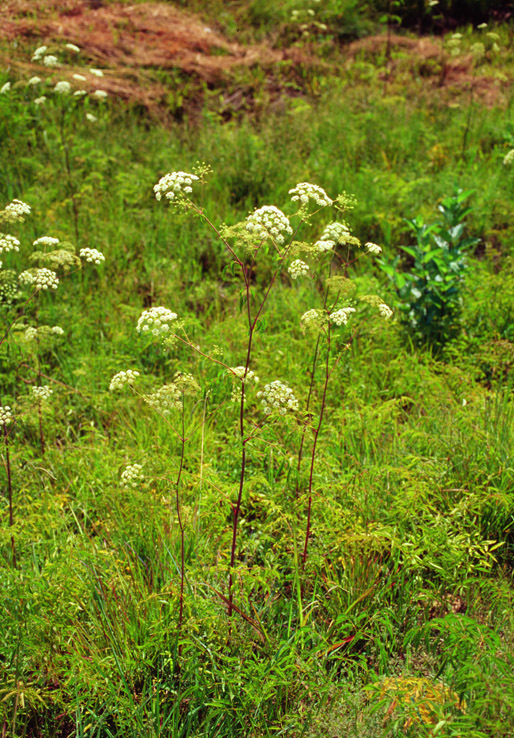 Look-alike plants: Water hemlock (Cicuta douglasii), a perennial, is another poisonous plant found in northern Arizona. Its leaf veins run to the notches between the teeth rather than to the tips of the leaves. Blooms July through September. Control strategies: Hand removal by hand-pulling or hoeing works well when plants are in the rosette stage and the population is small. Routine mowing before plants flower and go to seeds can reduce populations. Wear gloves to avoid contact with sap. Mowing in spring can kill second year plants. Mowing again in late summer can kill seedlings and any regrowth. Do not burn plants as toxins maybe released into the air. 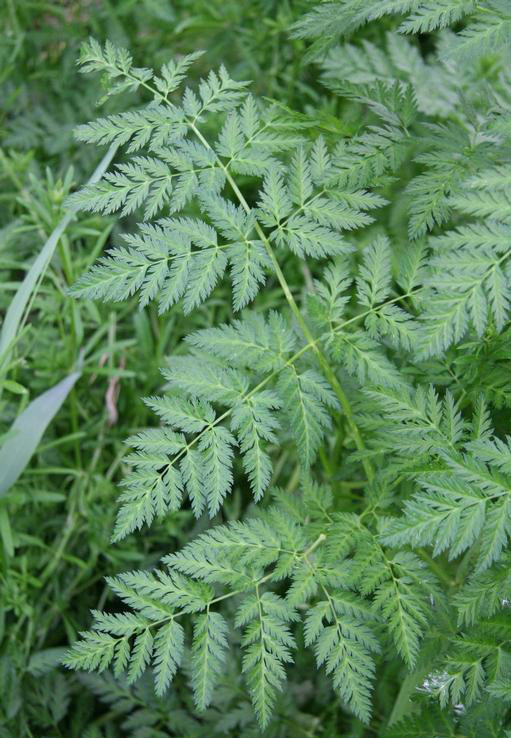 Several herbicides are available for controlling poison hemlock when they are in the seedlings or rosette stage Contact your local county extension office for more information on chemical control.